Note: 1 of 2 posts today. Third Release | The Big Giveaway post is HERE. We are so excited to share with you previews of our Third Release. We have seven stamp sets and their coordinating cut files releasing on May 25, 2014. Are you ready for our largest release yet! We brought follow ups of all your favorites and then some. 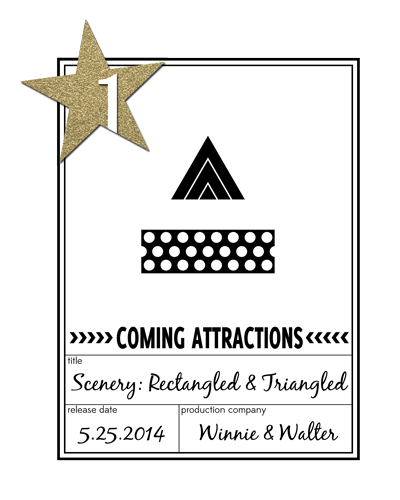 Scenery: Rectangled & Triangled is a truly limitless possibilities sort of stamp set. Want borders and background builders? This is just the set for you. There are rectangles and triangles galore for on trend and exploratory stamping. This stamp set will surprise you with what you can create! 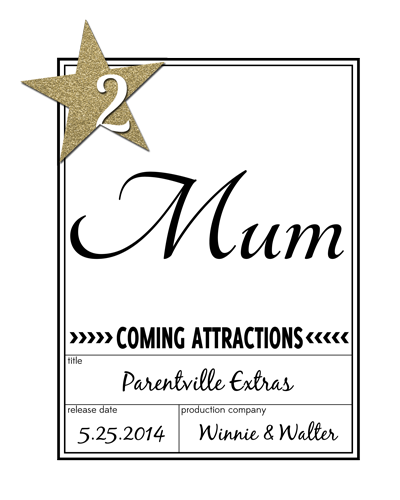 We just could not let our dear friends across the pond go without a "mum" so we added mum and some other great names for mothers and fathers, some supporting sentiments for celebrating mothers and fathers throughout the year (including soon to be and new parents) and finished them off with universally usable hearts and stars to create Parentville Extras! We love you mums! Joni made some suggestions for images on her wish list and we've missed some little words in the past to go with The Big, the Bold stamp sets so The Big, the Bold and Extras set was born! Use with your The Big, The Bold stamp sets, any set at all or on its own you will be happy with how much stamping millage this set will give you! Hey girl, have a special dude you want to send a message to? 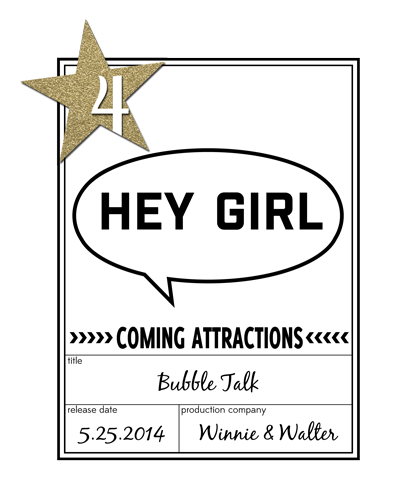 Bubble Talk includes great sentiment building with two step speech bubbles for a whole lot of stamping goodness! 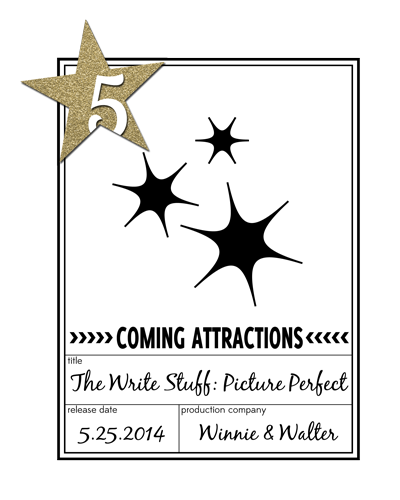 The Write Stuff: Picture Perfect features so many great images (just wait until you see the camera! ), icons and tiny sentiments for adding captions to pictures or images. This is one delightful set for capturing all your summer adventures whether they are at home or on the go! We've got our next Big Bang and it's all about bling! 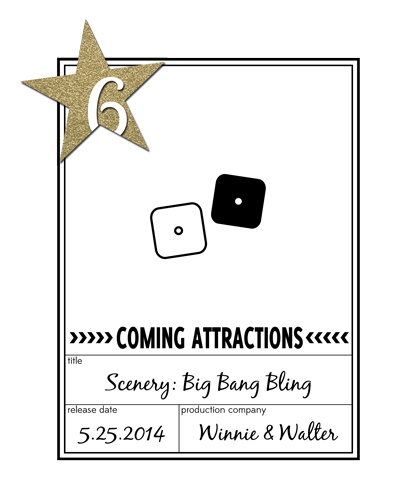 With several sequin options Scenery: Big Bang Bling will never get old and will add just the right sparkle to any project. You knew there had to be one...we've brought you The Big, the Bold and Fun with 4 (yes, 4!) big words and lots of smaller words with a nice summery feel that will also warm up your entire year! We are so thrilled to share more with you over the next few days as we premiere the stamp sets beginning tomorrow, May 21, 2014. The guest stars' and The Talent's projects are awe-inspiring!! 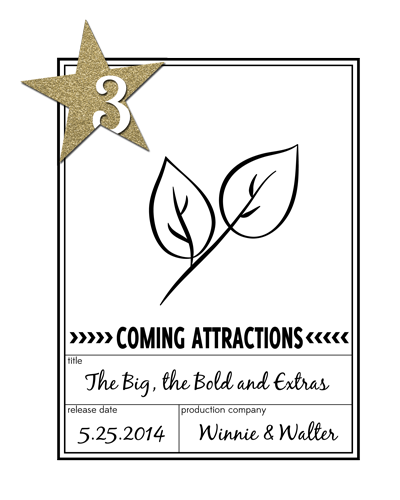 I am super excited about The Big, the Bold and the FUN! Also curious to see the rest of the rectangled and triangled set. Wahoo - can't WAIT! Have become a big fan of your stamps! I'm very excited to see all these fab new sets! Even tho I don't think we are the ones from 'across the pond' you were talking about, thankyou anyway because here in Oz we use Mum too! I'm so intrigued by these little previews - can't wait for the release! To be honest - I wanna see them ALL!!!! Yay for a new release! Can't wait to see the Big the Bold and extras!! I want to know if you will get all the words on MY list! (yep...keeping a list! LOL) The write stuff Picture perfect...want to see that also! and the Big the Bold and FUN!! Just bring them all on!! it's faster than me listing them one by one! LOL! I think I'm in serious trouble =[ I may want them all!!! You gave us just enough information to make me interested in ALL of them! Come on Wednesday!! I love the big script stamps so I am excited to see the whole thing. These look fabulous! I can't wait to see more! I can't wait to see all of these new sets. I love W&W stamps!! Eeeekkkk! Love the extra set and the bling one! To answer your question, I'm excited about ALL of these! This will be the first release where I'm following along with the reveals and I couldn't be more excited! I love the 3 stamp sets of yours that I already own and can't wait to see more! All of the above look good to me! I may have to take out a loan to order them all! Can't wait to see more! WooT! WooT! WooT! I can hardly wait and I am very hopeful that the new "The Big, The Bold and ...." will be as popular and well=loved as the first two sets in this style! Two of my favorite stamp sets...I LOVE them!! oh wow...how to pick one? Great to see that you now have a Mum for us across the pond! Another Big and Bold?!! Yay! I love the fonts of the last two Bolds...can't wait for this one! Oooooh, these look fantastic!! I can't wait to see more!!! loving the look of the big, the bold and the extras, cannot wait for these to be released! Yesterday I was just excited about The Big set, today I looked more closely at all the words associated with the new sets. There are absolutely going to be at least three of them that I must have. Arg! Everything looks awesome so far! 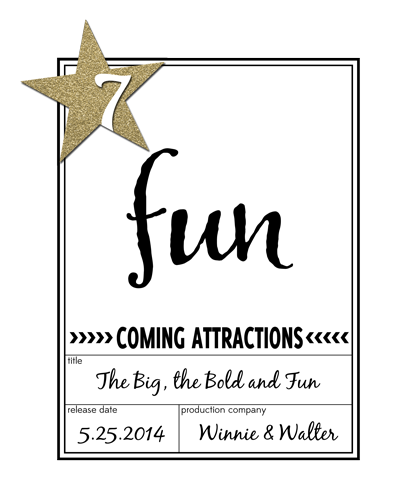 But in really excited to see the full reveal of the big the bold and the fun! Can't wait!!!! Especially the fun & extras!! !